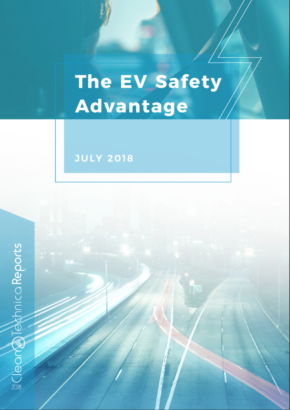 Once upon a time — a long, long time ago — an amazing little unknown Californian company filled with electrical geniuses and two men heading the team, President Tom Gage and Founder Alan Cocconi, revolutionized the automotive world. The problem is that little to no mainstream news covered their incredible work, nor highlighted the importance their research would yield on the future of transportation. This love of electricity and controllers led them to design a radical two-seat electric bomb called the tzero. The AC Propulsion tzero was so intense that it drew the attention of Californian entrepreneur Martin Eberhard. And, thus, the history of the rebirth of the electric vehicle (EV) was rekindled again when he created Tesla Motors. Don’t gasp. 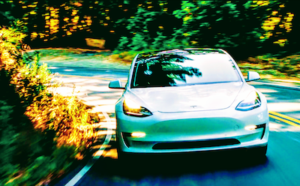 Take deep breaths … that’s just one of the stories behind the company, which has 5 founders — Elon Musk, JB Straubel, Ian Wright, Martin Eberhard, and Marc Tarpenning. 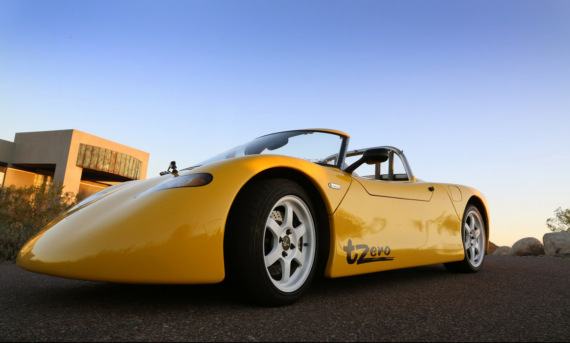 If you had to write a book on the history of the rebirth of the modern EV, the AC Propulsion tzero would stand prominently in the pantheon as the EV that restarted it all. 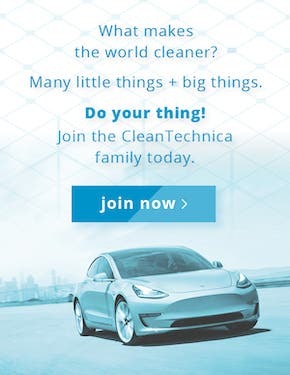 It came from AC Propulsion, a unique company with incredible folks hard at work making EVs better all the time — doing what they loved to do best. Martin Eberhard wondered why there weren’t cool modern cars with more efficient energy systems than the pushy, but ultimately highly inefficient internal combustion engine (ICE). Thankfully, someone mentioned to check out a company called AC Propulsion, located near Los Angeles. There he found engineers doing incredible work on controllers and electric motors. 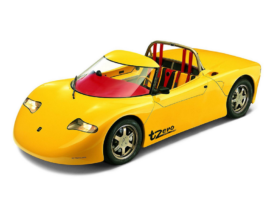 What he saw that would truly change the landscape of the automotive industry — three units of the little yellow electric rocket called the tzero. AC Propulsion was really not interested in building electric cars, to Martin’s dismay. 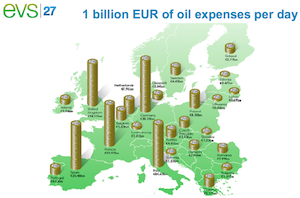 In fact, the company produces drive systems, battery management systems, vehicle management systems, and vehicle-to-grid systems for OEMs. Back then, the company was content tweaking electric systems, designing better controllers, and grooved on oscilloscopes and sine waves. So, Martin rightfully thought, why not make his own EV and use AC Propulsion components. The wild tzero (which, by the way, stands for t = time, zero = beginning of a new sequence) eventually led to the creation of the Tesla Motors Roadster. But there was one problem. Martin didn’t have enough funds and needed a donor car to start with. This is where that other famous guy steps in who had just sold PayPal. 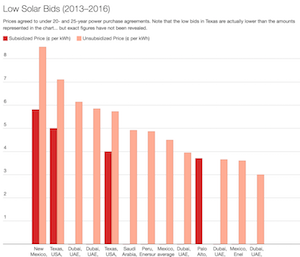 With money in his pocket, Elon Musk became an early investor in Tesla Motors. Skip the very public and widely embarrassing breakup when Musk removed Eberhard. Instead, let’s focus on one of the three original AC Propulsion tzeros. A few years ago, collectors seeing how EVs were picking up thought it would be a good time to start collecting them. Sadly, only one out of the three original AC Propulsion tzero remains today — looking for a battery pack, or so I hear. One tzero went up in smoke a while back. This is the story of T-Zero #2. 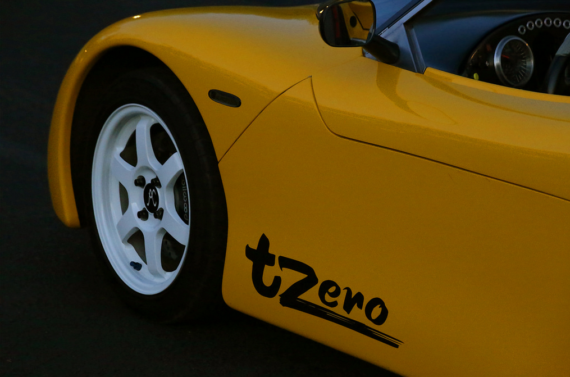 The tzero #2 was Tom Gage’s daily drive for Tom Gage. It is now sadly gone as a pile of dust and rubble. The original batteries were replaced with Optima Spiral Wound ones in 2012, and the tzero was getting ready for 28 new batteries later that year. What Pete told me was that it was fully functional, filled with analog ’90s technology. In fact, it was so ahead of its time, it included vehicle-to-grid (V2G) capability. Keep in mind, this is back in the late ’90s. What Was The AC Propulsion tzero? But please, Pete, tell us how it felt to drive the tzero? A gentleman named Pete Gruber bought one of the three tzero gems. Unfortunately, it recently burned to the ground. We’ll get to that in a minute. 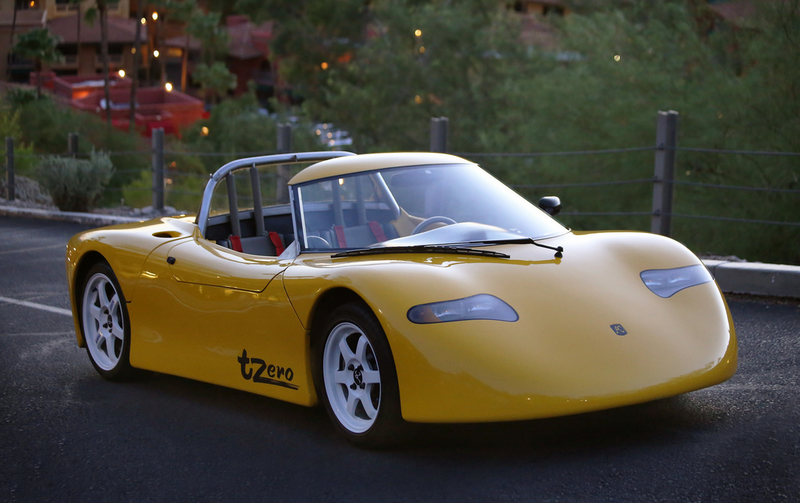 When Pete drove the tzero, he told me that he could see where the Roadster DNA came from. The tzero was nimble, responsive, no under- or over-steer, great visibility, and like the Roadster, it pins you into the Recaro racing seats. Pete enjoyed the tzero variable regenerative braking capability, choosing the max setting. Due to its rarity and a California title issue, it prevented Pete from an easy title transfer to Arizona. I automatically liked Pete, because he remembered the original Tesla story that, although not that old, tells a different story than the one we know of today. 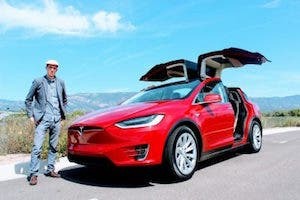 Pete wrote in a Tesla forum entry from last summer: “This is the car, built by a tiny company called AC Propulsion Systems in CA, that inspired Martin Eberhard, the real founder of Tesla Motors (you thought it was Elon), to commit to building electric sports cars, and the rest is history. Elon also found AC Propulsion sometime later, test drove the tzero, and became convinced there is a market. He then joined Martin’s Tesla Motors as an investor, and eventually took over the company and Tesla Motors. 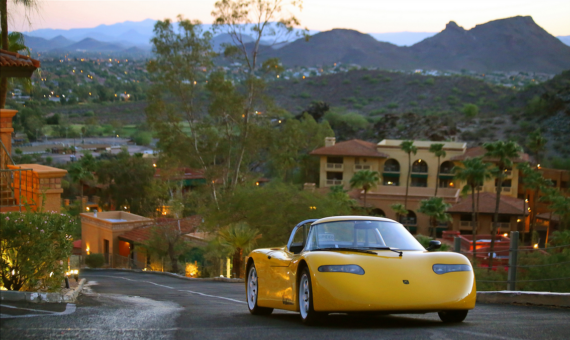 “These three tzero’s, built in 1997, rivaled the performance of exotic cars of that era. It is the proof of concept vehicle that the first production Teslas, the Roadster, was patterned after. In fact, for a time, Tesla paid royalties to AC Propulsion for using their design. 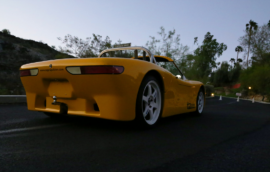 And as to what the tzero rode on, it was a Piontek Sports Car chassis. Those chassis and bodies are still being made by Dave Piontek. Yet another enticing project to contemplate … building another tzero … but, back to reality. I’ve been a great fan of AC Propulsion for well over a decade. First, they were the most approachable and friendliest EV people at local shows 10 years ago. Second, the AC Propulsion eBox was the first EV I drove and it blew my socks off. This $70,000 converted Toyota Scion xBs from 2007 managed a 140-mile range. You could inspect individual cells from a small black and white display on the steering wheel! 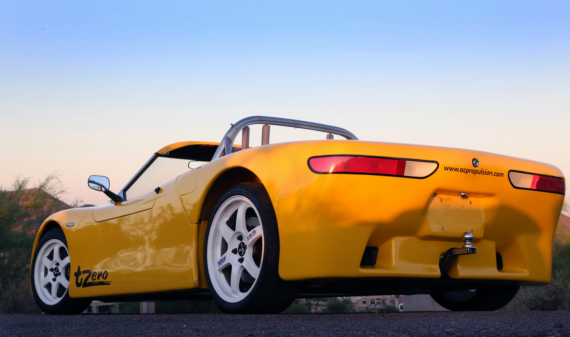 Tesla’s choice of the Lotus Elise as a glider for its Roadster was a smart solution. It was the second EV I drove and that too blew my socks off. 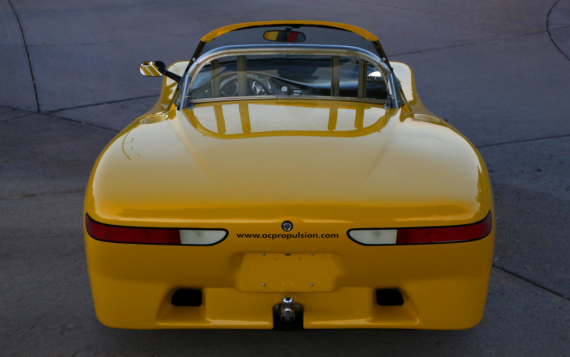 What we rarely talk about anymore is that the first Roadster had an AC Propulsion controller system on board. But due to poorly written contracts, the next Roadster (1.5 … if I can say it …) reversed engineered the AC Propulsion controller and slapped on a Tesla Motors logo. I like Tesla a lot and I still want a first-generation Roadster with the upgraded battery pack. But you must give Cesar his due, and the AC Propulsion tzero was the Alpha of the EV rebirth. A special thank you to Pete Gruber for preserving this icon of modern-day EVs, and another thank you to the person who originally got me interested in AC Propulsion, Gerry Gaydos.